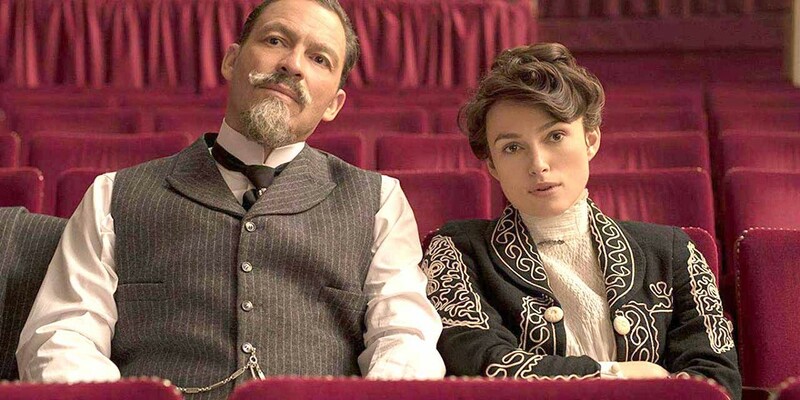 AN ARTIST EMERGES Keira Knightley stars as French novelist Sidonie-Gabrielle Colette, who had to reclaim her literary legacy from her husband, Henry Gauthier-Villars (Dominic West), in the biopic Colette. This film does more than just showcase a writer on screen hunched over a desk with a furrowed brow scribbling on paper. It does an impressive job of keeping the audience captivated by the novelist's metamorphosis from a wife kept in the dark to challenging her husband for the rights to her writing and freedom. A year before Gabrielle turned 20 years old, she lived at home in the countryside with her mother and father. Her parents found themselves in financial disarray and worried about Gabrielle's future—they wanted her to marry a prominent literary figure who also happens to be a family friend. In comes, on first encounter, what seems to be the irresistible and well-mannered Henry Gauthier-Villars (Dominic West). Gauthier-Villars goes by Willy, his pen name. Willy is a literary brand—as he would put it—and employs generous writers so, after his approval, Willy can put his name on their work. Once Willy and Gabrielle wed, she's thrust into Willy's lavish Parisian world that's striving to be over-the-top but topples over as extremely dull. Gabrielle isn't into the city life or the constant infidelity that Willy charmingly explains is just something men do. Of course Willy's lifestyle depletes the couple's funds, which also doesn't allow him to pay his writers, so he looks to the last person in front of him, Gabrielle, who writes a novel based on her experience in school, changing the main character's name to Claudine. Willy doesn't like it on first read because the writing is too feminine, but when he has nothing left to profit on, he decides to run with Gabrielle's story with a few edits and, of course, his name on the cover. The Claudine story becomes a cultural sensation with the female population. The couple makes their financial success on Claudine and when Gabrielle doesn't want to write a sequel, Willy locks her up, demanding that she "write." This is when Gabrielle changes her name to Colette and her overall being transforms. Although she was never one to shy away from asking questions or challenging her insufferable husband, Colette is not only doing what she wants, she's also exploring relationships with women. It's something that Willy is not opposed to because she's sleeping with women and not men. It's a concept that the film is constantly hitting on as Colette can't do certain things her husband does because she's a female. Sexism, constant betrayal, and Willy's money-driven schemes put a strong wedge between the couple. And while Willy believes that he's making a change in the literary scene, he forgets his mantra: "The hand that holds the pen holds history." Colette has a firm grasp on hers as she begins to explore herself, with the help of her lover Mathilde de Morny or "Missy" (Denise Gough), in a grossly sexist and male dominated world. 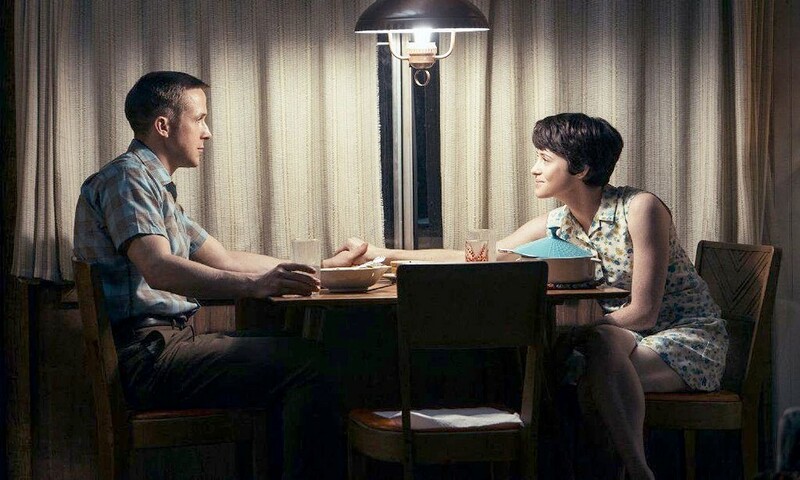 SPACE MAN Ryan Gosling stars as Neil Armstrong and Clair Foy is his wife, Janet, in the remarkable historical drama and biopic First Man. Anyone with a passing interest in the history of the Apollo Mission will recognize the other players. Pablo Schreiber plays Jim Lovell, Corey Stoll is Buzz Aldrin, and Shea Whigham is Gus Grissom. Jason Clarke stars as Armstrong's closest friend and colleague Edward Higgins White, but Armstrong even keeps him at arm's length. He was very much an internal person. Even though viewers should know the outcome, there's plenty of tension throughout the film. The spacecraft are rickety, the technology antiquated, but the heroics are timeless. At the end of the film, the three returning astronauts are quarantined. It's fascinating to think that three men spent eight days in space, that two of them walked on the moon, and that when they returned they were locked in a glass box with very pedestrian-looking hotel furnishings. What a dichotomy! Of course, there was nothing glamorous about early space travel. 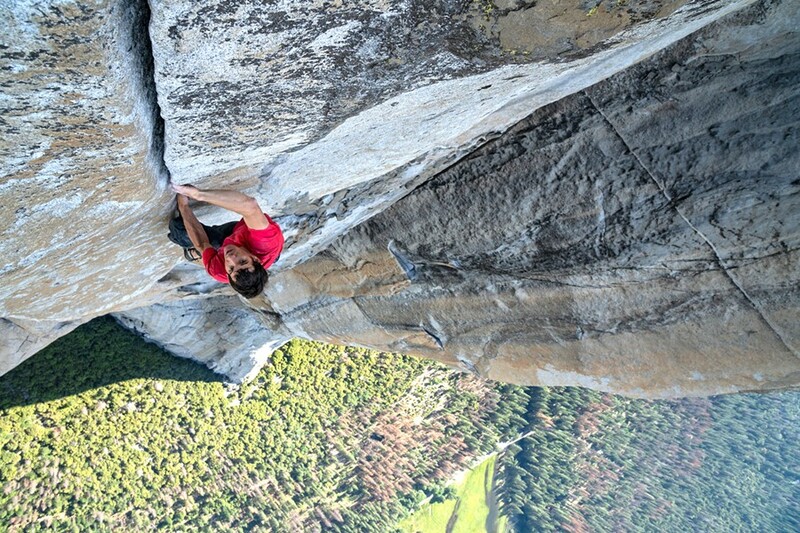 NO ROPES, NO SAFETY Free Solo documents climber Alex Honnold’s solo ascent of Yosemite’s El Capitan Wall—the first such climb and perhaps the greatest feat in climbing history. FORTY YEARS LATER Jamie Lee Curtis reprises her role as Laurie Strode, who 40 years ago escaped masked killer Michael Myers. When he returns in Halloween (2018), she’s ready for him. PickWriter/co-director Dana Nachman and co-director Don Hardy Jr. helm this documentary that follows a litter of puppies from birth, through their two-year training as Guide Dogs for the Blind, and into their careers. Not all of them make the cut, but we meet the people who train them for the ultimate responsibility—to keep the blind safe from harm. This film is certainly Bradley Cooper's baby, and for a directorial debut, it's beyond incredible. Perhaps he's been in front of the camera for so long that he simply understands what's needed behind it. That's what every good romantic relationship should do, and seeing that message so deftly brought to the big screen is in part why I love this film. It's got enough heart to make the heartbreak feel real. Yes, the film is definitely a tragedy, but it's also heartbreakingly beautiful. Sam Elliott stars as Jackson's brother and manager, Bobby, who's lived in Jackson's shadow and does his best to staunch Jackson's self-inflicted wounds. Their relationship is tenuous at best. In addition to his substance abuse, Jack's hearing is going, and he's not interested in following his doctor's orders to wear earpieces when performing for fear it will disconnect him from his audience. He doesn't seem to realize his drug use already does that. PickRoger Mitchell helms this documentary about the more than half-century-long friendship between actresses and Dames Eileen Atkins, Judi Dench, Joan Plowright, and Maggie Smith. The quartet of acting greats recalls their humble theatrical beginnings and long and eventful careers. The character and its origin story is a small step in the Marvel Universe but it's not part of the Marvel Cinematic Universe—superhero films independently produced by Marvel Studios. The film is also just a chip in what could be a greater origin story for Venom, the amorphous, liquid-like creature that requires a host, usually a human, to bond with for its survival. Oddly, Venom isn't tied to Spiderman ... yet. Despite that, the action scenes were full of intense in-your-face punches, cars smashing into each other, and people being flung into the air. While it doesn't reach a level of gory intensity as Deadpool does, people getting their heads bit off and eaten is pretty up there. There's also an incredible scene where Venom is fighting another symbiote and as the two duke it out you see the faces of the humans underneath the parasites' skin—wait, don't call Venom a parasite; he gets very offended.